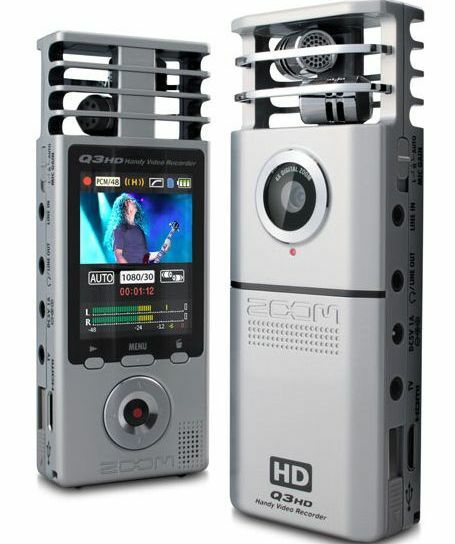 The leading maker of award-winning stereo recorders, Zoom Corporation has launched its new powerful, hanheld video camcorder – Zoom Q3HD, which is designed to capture full HD (1080/30) video, and HD audio (24-bit/96kHz) thanks to Zoom’s renowned audio technology, supporting up to 32GB SDHC memory card for 7 hours of HD video. The new ultra-portable Zoom Q3HD handy video recorder that comes bundled with a 2GB SD memory card is now available for around $300. In addition, an optional Q3HD accessory package (APQ-3HD) that includes a soft shell case, windscreen, AC adapter, HDMI cable, AV cable and tripod is priced at $39.99.